"It's like the ultimate Thanksgiving dinner," says Laura Duvall, the postdoctoral fellow who led the project. Fortunately, similar receptors regulate feeding behavior in many species, including our own. And that shared evolutionary inheritance provided Duvall and her colleagues with the clue they needed to solve the mystery of the mosquito's missing appetite. Duvall and her colleagues reckoned the same drugs might affect the mosquitoes' NPY-like receptors, as well. And they were right. 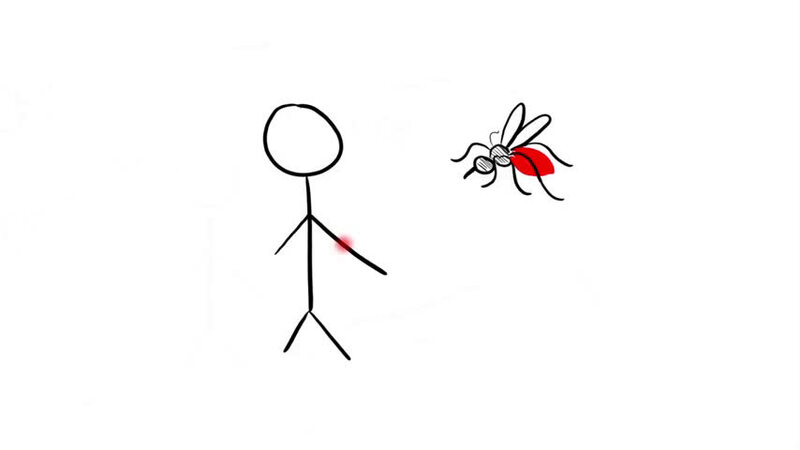 When the researchers fed female mosquitoes saline solution doped with drugs that activate human NPY receptors, the insects' attraction to a human host—as measured by their willingness to fly towards a bit of nylon stocking that Duvall had worn long enough to absorb the bodily odors that scream "mealtime" to mosquitoes—plummeted just as if they had had a blood meal. Alternately, when the researchers fed the mosquitoes blood doped with a drug that inhibits the same receptors, they behaved as if they had not eaten at all. 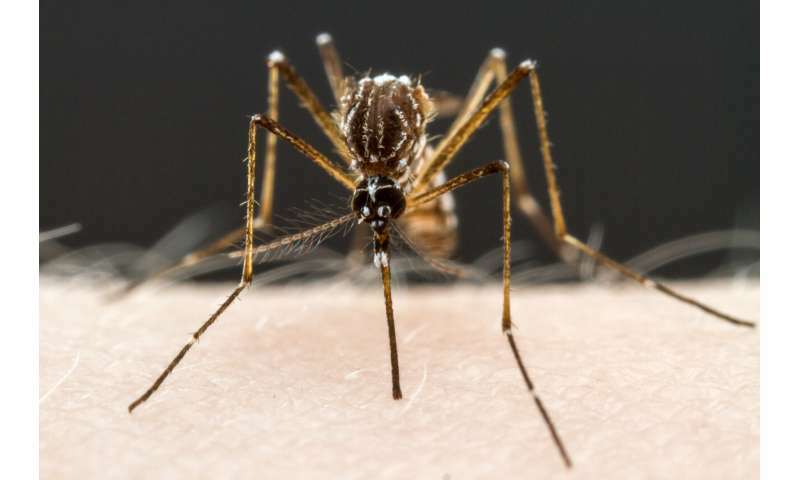 "We were impressed and amazed that drugs designed to affect human appetite worked perfectly to suppress mosquito appetite," said Vosshall, Robin Chemers Neustein Professor. What's more, when the team fed blood to mutant Ae. Aegypti that had been genetically engineered to lack proper NPYLR7 receptors, those mosquitoes remained as interested as ever in their next meal—confirming that NPYLR7 was indeed the receptor they had been looking for. Instead, they began searching for molecules that would selectively activate NPYLR7 without triggering human NPY receptors. Starting with an initial list of more than 250,000 candidates, the team ultimately settled on "compound 18"—a molecule that suppressed Aedes' host-seeking behavior with no off-target effects. The team's findings have far-reaching implications, both for future research and for vector control. Now that the researchers know which receptor is responsible for switching off Ae. Aegypti's host-seeking and biting behaviors, they can begin to identify where it is produced in the insect's body, and when it might be naturally activated by chemicals that the mosquitoes produce themselves. (Although they still do not know exactly which naturally occurring neuropeptides activate NPYLR7, Duvall and her colleagues now have a list of nine possible candidates.) That, in turn, will help them trace the larger neural circuits that govern the mosquito's feeding behavior. Muzzling Ae. Aegypti would be a boon in and of itself. But other blood-feeding, disease-carrying arthropods, including the mosquitoes that spread malaria and the ticks that transmit Lyme disease, also possess NPY-like receptors. It seems likely that a compound that suppresses Ae. Aegypti's feeding behaviors would suppress theirs, too. And that would take a significant bite out of the global disease burden imposed by these pernicious blood-suckers.